Iran intends to purchase 20 regional jets from a unit of Japan’s Mitsubishi Heavy Industries, according to Asghar Fakhrieh Kashan, deputy minister for international affairs at the Ministry of Roads and Urban Development. The Mehr News agency quoted Fakhrieh Kashan on Sunday as saying that the deal was likely to be finalised when a Japanese delegation visits Tehran in December. The aircraft will be acquired through a lease-purchase contract and will be used by Aseman Airlines on domestic routes, Fakhrieh Khashan said. The lifting of long-standing economic sanctions against Iran in exchange for curbs on its nuclear activities has allowed it to strike provisional deals worth around $50 billion with Boeing and Airbus to buy some 200 airliners to renew its ageing fleet. However, financial and political obstacles have continued to dog the deals, and Iran has made clear it is widening its search to include other suppliers. 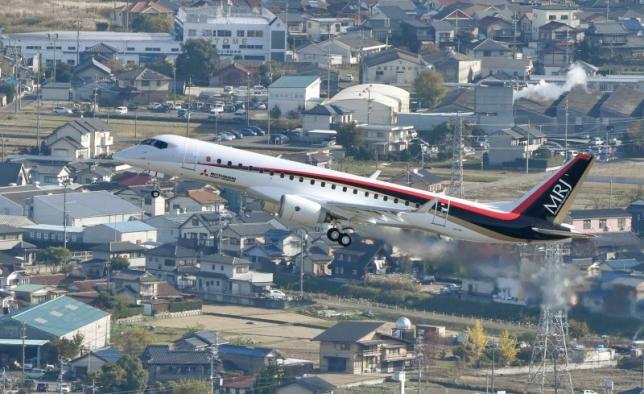 The Mitsubishi Regional Jet, Japan’s first commercial airplane in half a century, will seat just under 100 people and is being developed by Mitsubishi Aircraft Corp, which is majority owned by Mitsubishi Heavy Industries.